I think it will look good, I've seen loads of the same combination and I like it. I bought the black on black model. But I liked all the 2500 combinations. You will get used to it. A strap with a bit of orange like this one completes it. But I think it's okay on others, too. Last edited by SynMike; September 11th, 2016 at 04:58. Thanks! I think it will look better ones it's actually installed. I just simply laid it over my PO just to see and there was a tiny bit of orange still showing, so maybe that's why. For now I'm worried about the install. I'm taking it to a jeweler who claims he specializes in watches. Old grumpy guy, he kinda got offended when I was explaining to him how it's done and said "do it yourself if it's easy". 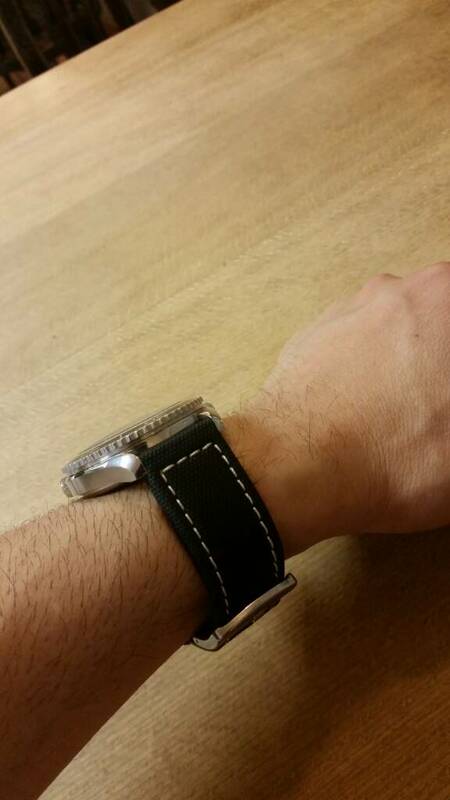 Anyways, I just don't want my watch to get scratched up. 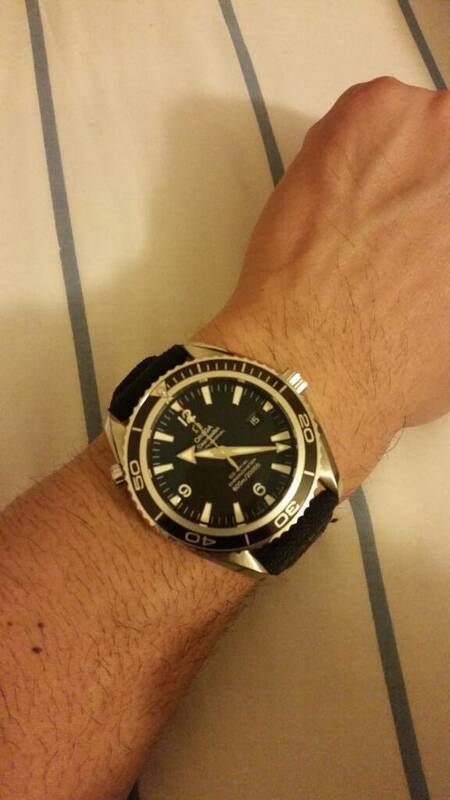 Omega boutique refused to put it on so I'm on my own. An suggestions? Even with my be Ti 8500 the 2500 is still the king! Thin and flat it's a beautiful watch!!! As has been said this was an Omega tweener model between the orange and the black. It looks great. I like the black and orange so much I own both! As for the grumpy guy his attitude stinks so if he is good go for it but if is unknown I'd keep looking. Currently on aftermarket strap but will try to get the one with deployant when I'm back from Holiday.